Mexican artist Frida Kahlo did not have as bodacious of a unibrow as most believe, the Snooze Button Generation has learned through an exhaustive study that included a visit to wikipedia.com. Kahlo did have a little fuzz in between her eyes, but her rockin' unibrow did not compare to the mega-unibrow depicted in her artwork. 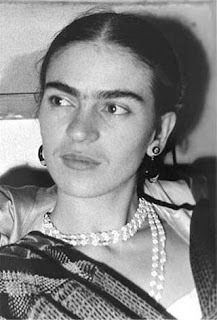 In light of this breaking news, this critical question has come up: If Kahlo does not have the greatest unibrow of all time, who does? That brings us to Oasis lead singer Liam Gallagher and guitarist Noel Gallagher, who both have remarkable unibrows. But beyond these two furry forehead guys, it's hard to find someone whose unibrow transcends this world. 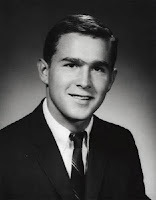 Good ole George W. Bush apparently had a unibrow in college, but eventually he groomed it off and became president, despite his humble roots coming from oil tycoons. Sesame Street's Bert, of Bert and Ernie, also has a unibrow of note. But he doesn't quite get the nod of best unibrow ever because he is a muppet. THIS IS THE BIGGEST NEWS OF ALL TIME!!! Thank you sooooo much for giving me this vital information. I CAN SLEEP WELL TONIGHT KNOWING THE UNIBROW OF FRIDA KAHLO IS BARELY EXISTANT.